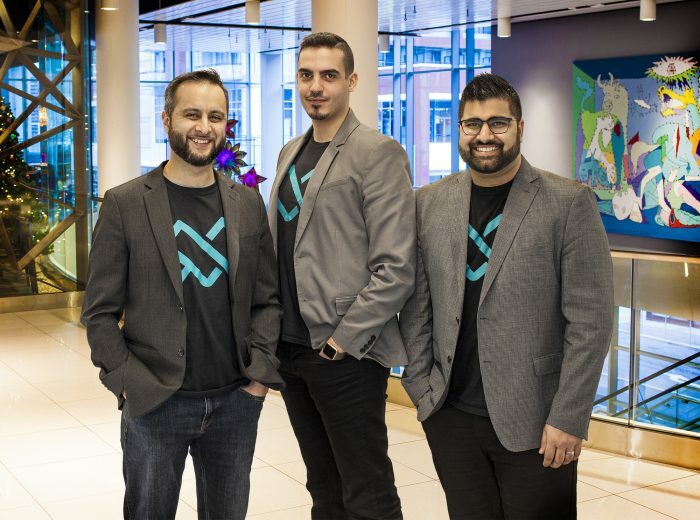 Online payments processor PayPal Inc. is launching a mid-summer’s marketing campaign in Toronto that will introduce its mobile app as a way to pay for items in-store, the company says. A multi-channel campaign that will see digital display ads, public transit posters, geo-targeted mobile ads, and print ads in magazines such as Toronto Life and Cineplex Magazine will reinforce PayPal’s brand as a way to complete your e-commerce transactions without a hassle, but it will also encourage using its mobile app to buy coffee and pastries from 25 cafes around Toronto. In fact, PayPal app users will be treated to a $5 credit that they can use for a free coffee at the locations listed on PayPal’s blog. Of if coffee’s not your thing, you can get a snack. PayPal posted this image to its Twitter account to promote its Toronto-focused coffee buying spree. PayPal’s mobile app actually introduced its check-in feature last Fall. It allows PayPal account holders to check-in to a store, and the merchant sees that interaction appear on their point-of-sales system. Then the customer simply shows what they want to buy, the sale is rung up, and a receipt of the transaction is sent to the app. 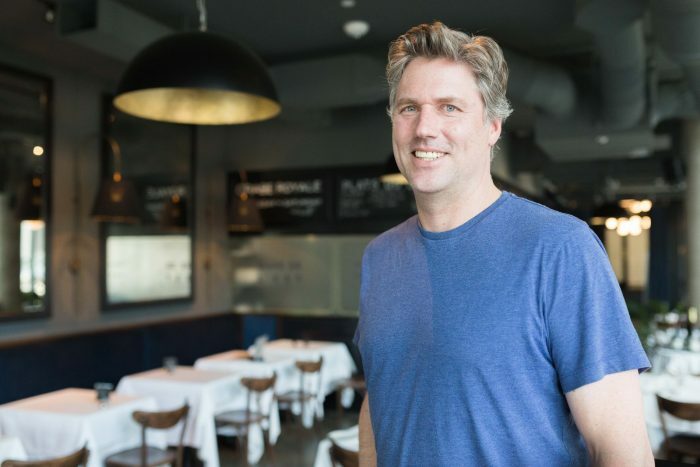 In Canada, PayPal is working with POS provider TouchBistro, which enables cafes with an iPad-based POS. Now that PayPal has enough merchants accepting it in-store, it’s the right time to try a marketing push in Toronto, Mezo says. PayPal is hoping to use Toronto as a test case for rolling out its mobile payments offering across Canada. The mobile angle is being rolled into a PayPal marketing campaign that will focus on its core messages of security, convenience, and simplicity, Mezo says. “It was time to take a look at our brand and refresh it,” she says. The campaign comes at a time when PayPal is rebranding itself to appear more mobile-friendly with a new logo and focus on social media channels. PayPal will measure the success of its campaign based on behavioural surveying of Toronto residents. It conducted a survey about PayPal’s brand recognition prior to the campaign and will conduct one at the campaign’s end, after July 31. 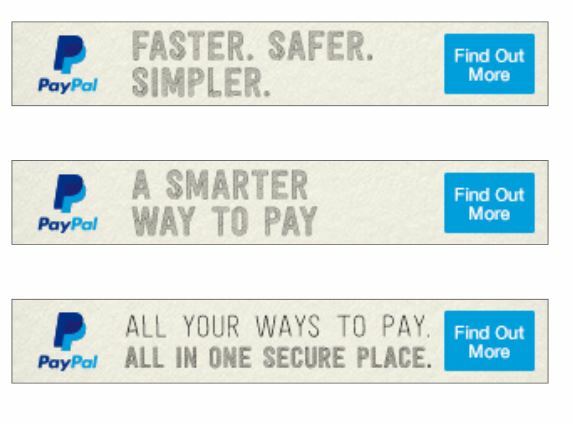 Example of PayPal’s mobile banner ads that will be displayed to Toronto residents when they visit sites like blogTO and The National Post. PayPal will also be watching its financial results to see the marketing campaign makes an impact. Plus, it will be measuring digital creative assets to see whether they are driving click-throughs and conversions or not. So why does PayPal think it can get people to use its mobile wallet as opposed to the other mobile wallets on the market? Mezo points to the tie-in of discount offers and the ability to leave a tip using PayPal as features that make the app different from other options. The campaign that includes the free coffee offer kicked off July 21 and ends July 31.